What if you are being tested without knowing that you are being tested? It happens all the time, of course -- secret shoppers, Tinder profiles, your judgy Aunt at Christmas -- but is it fair. More importantly, is it accurate? This is an important question for proponents of the Canadian Premier League to ask themselves because it's happening right now. 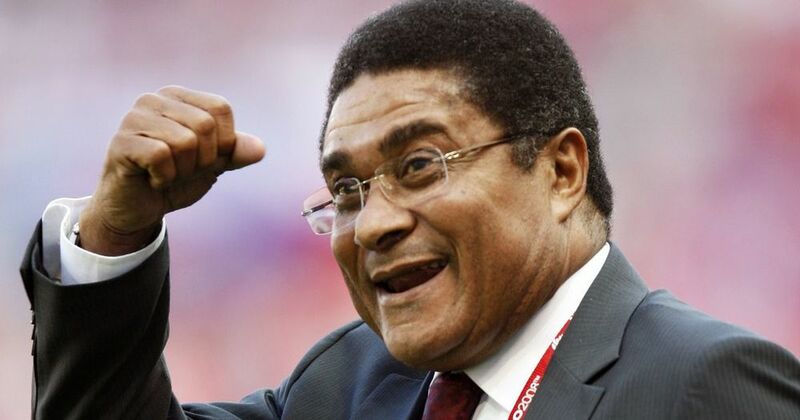 You see, Rangers are playing Benfica in Hamilton on October 6 at Tim Hortons Field in the 2017 Eusebio Cup. That's the basic story, anyway. The more complicated story is that this game is a test of the very business model that the CanPL hopes to use to entice more reluctant ownership groups into the fold. If you follow MLS, or have followed CSN's reporting of the CanPL, you'll recognize this model as the "SUM Canada" approach. The idea behind "SUM Canada" is that, like MLS and Soccer United Marketing, owning a franchise in CanPL will also include an ownership stake in a separate soccer marketing company. The primary role of that company will be to bring big name clubs and countries into CanPL stadiums to play "high" profile friendlies. The profits from those friendlies would then be distributed among the CanPL owners to off-set losses from the main product. It's worked wonderfully in the US. In fact, it's why claims of MLS owners that they are losing money still (and thus can't increase salaries) are a tad disingenuous. They are losing money on one very specific part of their ownership stake, but earning quite a bit on another. So, make no mistake, this game in Hamilton is a test of the viability of the business model. In general, it's a good model and one that most CanPL fans should be supportive of. However, it's fair to also have some questions about the execution of the model in this circumstance. In the US they are bringing in truly huge clubs and countries. We're talking the Barcelonas, Real Madrids, Brazils and Argentinas of the world. You truly can't put a cap on how much people* will pay to see these teams. This is Rangers v Benfica, and probably not really a great representation of either as the game will take place during an international break. Yet, they are charging prices that would barely be tolerated -- actually, they probably wouldn't be -- if the game was actually a competitive fixture. The low end price to get intro the stadium is $50 -- for standing tickets -- with the average price well over $100 and the high end price a mind-blowing $350. Put charitably, this is ambitious pricing. There are a significant amount of Benfica and Rangers fans in the region and even more Scottish and Portuguese ex-pats, but these are A) sophisticated fans that understand what the true value of a mid-season friendly is and B ) often working class folks that can't throw hundreds of dollars into 90 minutes of entertainment. Compounding this is that the game is being sold in short order, in an unpredictable climate, smack dab in the middle of the busiest sports time of the year (with the local-ish MLS team playing out of their head, thus taking away attention. And, this is without touching on the fact that the operators of Tim Hortons Field -- the Hamilton Tiger-Cats -- are not having a good PR month in the local community. Any general fans that might have been inclined to buy in a month ago are less so now. Here's where it gets worrisome for CanPL fans. What if this is a bust? What if they've out priced their audience? What does it mean about the people that are running the league and their knowledge of the market. I can't in good faith encourage anyone to spend money they don't have on this kind of game. I can, however, worry about what it might mean if people don't.